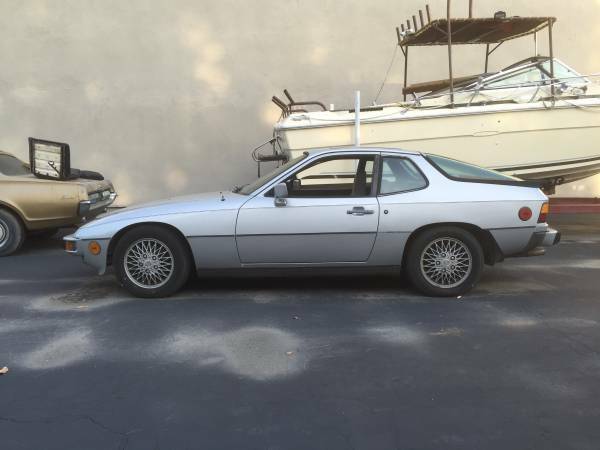 The Porsche 924 Turbo was the answer to the question that... wait...what's this another 924 Turbo in the span of a week, these are piles of junk -- hey, you leave the 931 alone, it had the coolest hood you could buy in 1980. Hey, there Mr Porsche, you are forgetting about the Z28 Camaro's air induction scoop -- That's it, who invited Capt America to this discussion? 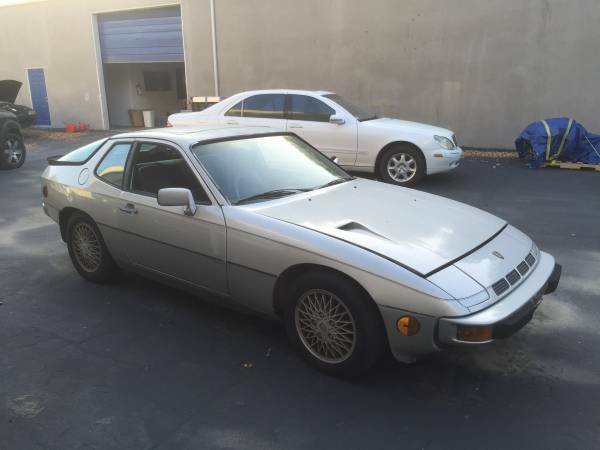 Like it or not, we're featuring this 1980 Porsche 924 Turbo offered for $3,500 in Irwindale, CA via craigslist. Tip from FuelTruck. While located in California, the seller says he has a title in hand and non-op status, but a California title was never issued, so he recommends you register the car in another state. Equally strange is the suggestion that you shouldn't buy the 924 unless you are familiar with the "fuel issue(s)". 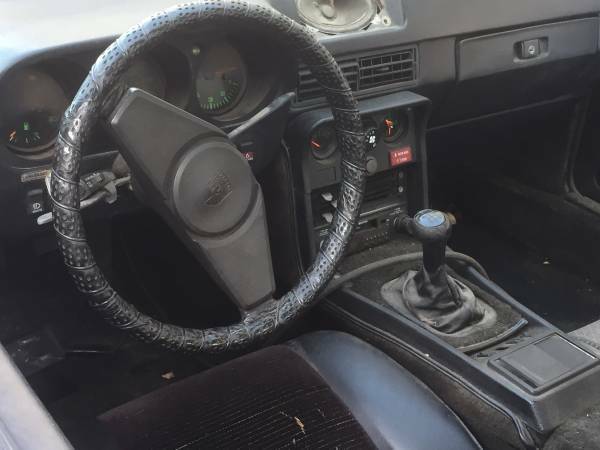 Fuel has always been an issue with automobiles, in that it needs to get from the gas station and into the round shaped slam-bang-pop chambers -- but a Porsche 924 doesn't use anything that any other K-Jetronic equipped car doesn't use. I can't imagine that the fuel issue couldn't be solved on the weekend with an ordinary set of hand tools, some debugging via 924.org and/or porsche924-944.nl. DT E-i-C Vince: To give people an idea of the comparative costs of ownership for various vehicles, I am adding the cost of front rotors and ignition coil from various retailers. Obviously, prices will vary day-to-day so it if comes up different when you click the link don't blame me, and if you buy a part (any part, doesn't have to be the part in the link) after clicking on said link, DT will earn a few bucks. Please bear with me as I figure out the links. Bosch front brake rotors for the 924 from PepBoys for $77.99 each, click here to use DT's affiliate link, get free shipping & take 25% off with 25PEPALL online order code. Beck/Arnley ignition coil for the 924 Turbo is $68.99 from Advance Auto Parts, click here to use DT's affiliate link. I had one of these for 9 years. I bought it with 25,000 miles and sold it with over 250,000 miles. They are rock solid reliable if reasonability maintained, and their only real weak point is the turbo itself. Being a non-water cooled type turbo, even with careful cool down the turbine shaft will coke and wear. So plan on a rebuild kit (relatively easy to do) every 40k miles. As mentioned, the Bosch injection system is pretty reliable, and not a "known" 924 issue, suspecting neglect here. I absolutely loved mine and made me a lifelong front-engined, water cooled, Porsche fan and owner. The numerous upgrades over the base 924 are well done Porsche items (which are the only expensive parts), i.e. the stainless exhaust is really well done for a factory part. This care having the 5-lug, 4 wheel disks is great. These cars are relatively light, have classic turbo fun (read big lag, followed by fun boost), and can be easily modded to decent power levels with a wastegate shim alone. Naturally the last ones, the '82's are the best, mostly due to an improved exhaust flange design. Just take it for what it is, a great, '80's turbo car. I suspect from the steering wheel (2 vs. 3 spoke) and seats trim, this to be a very early 1980 example. Arguably a "very collectable" car due to less enthusiastic perceptions in Porsche circles, which is too bad. In its current state of neglect/needs, I would guess this car to be more like a $2000-2500 924T.